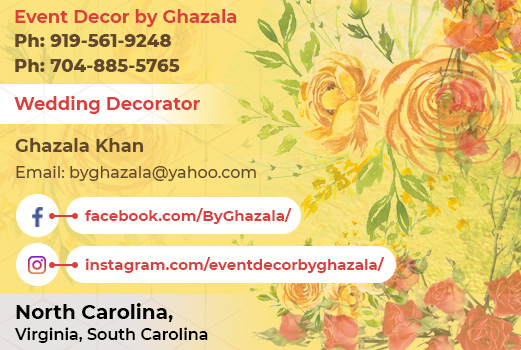 North Carolina, South Carolina and Virginia USA. 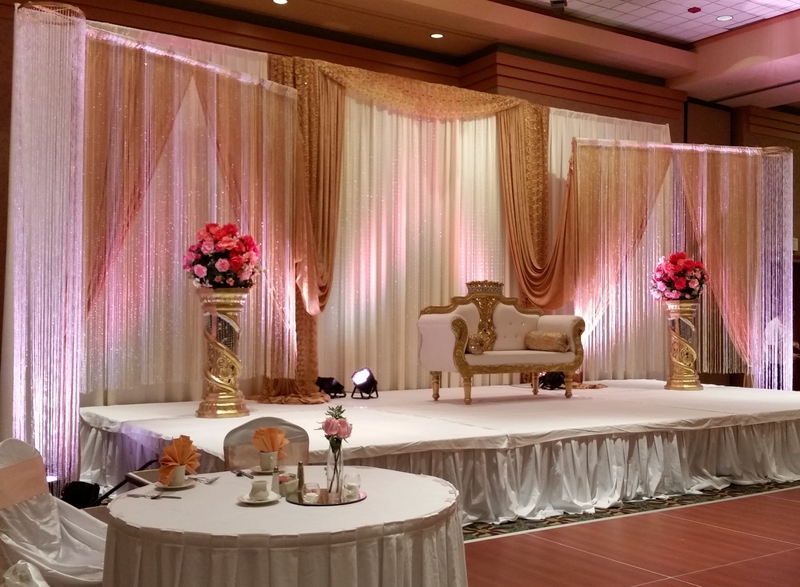 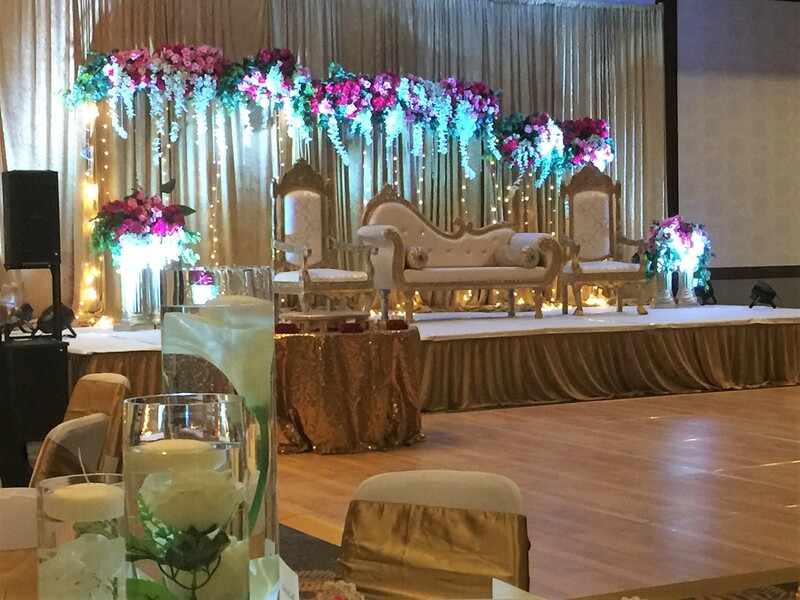 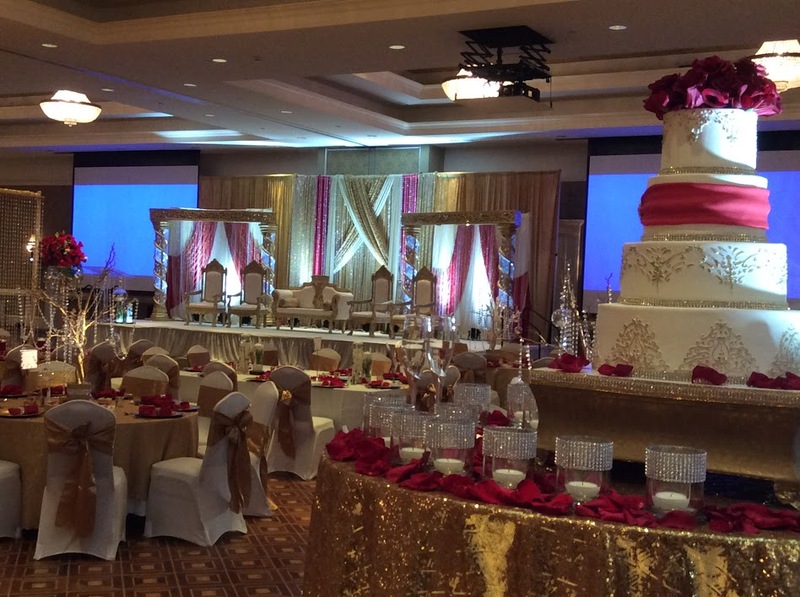 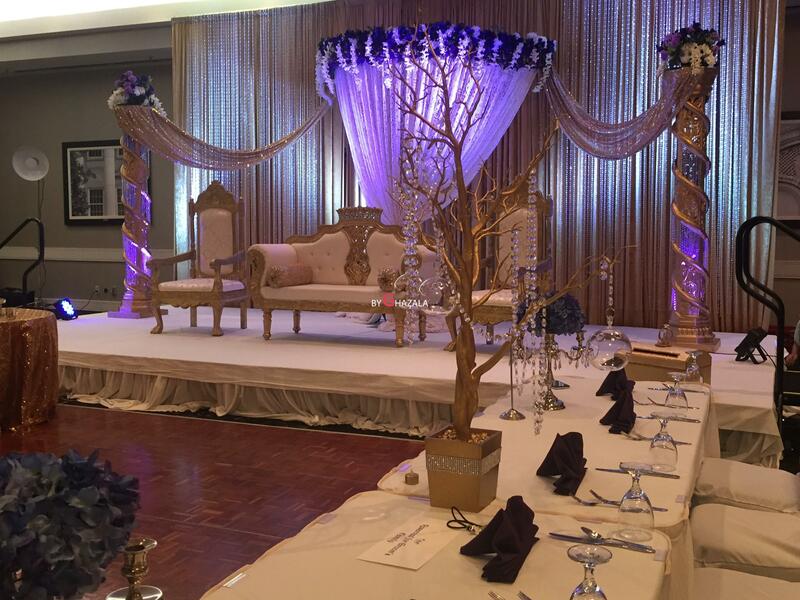 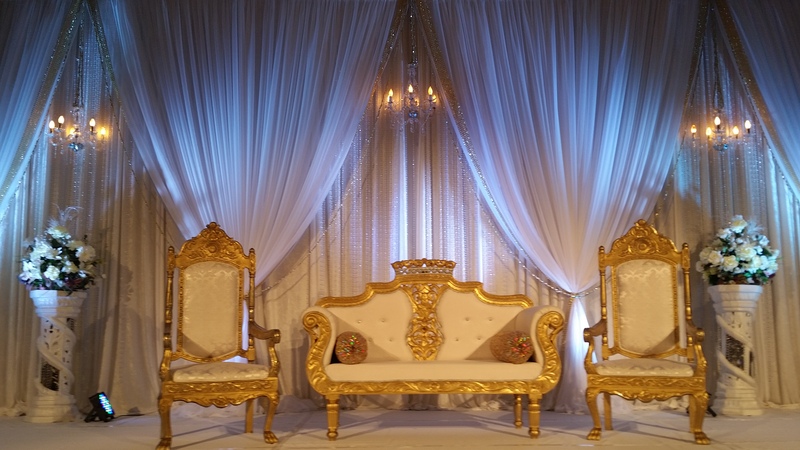 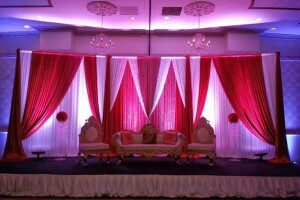 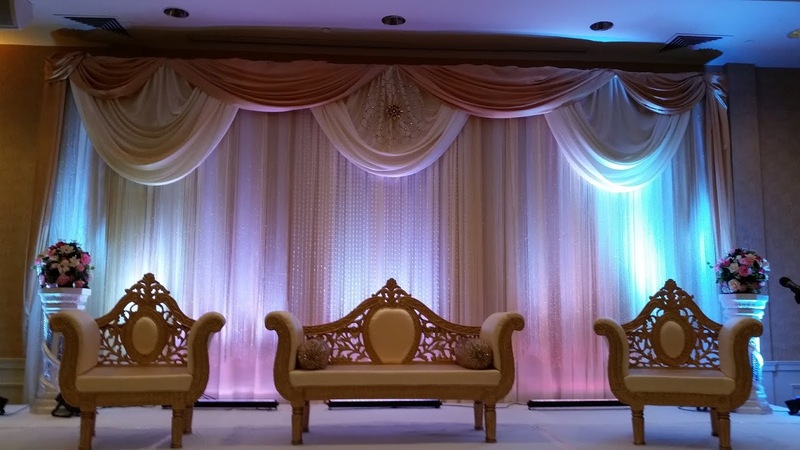 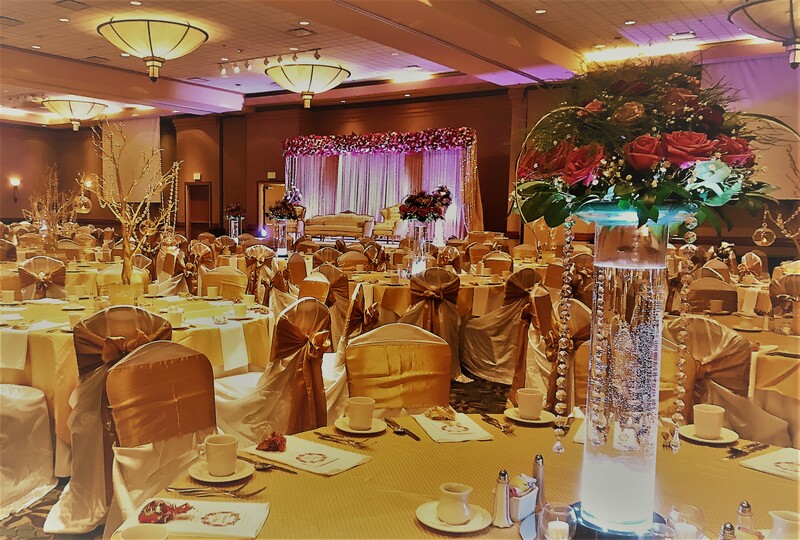 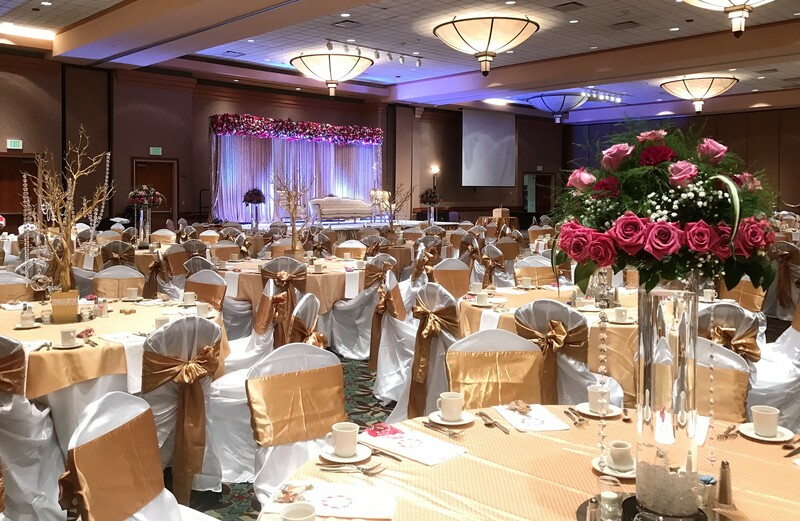 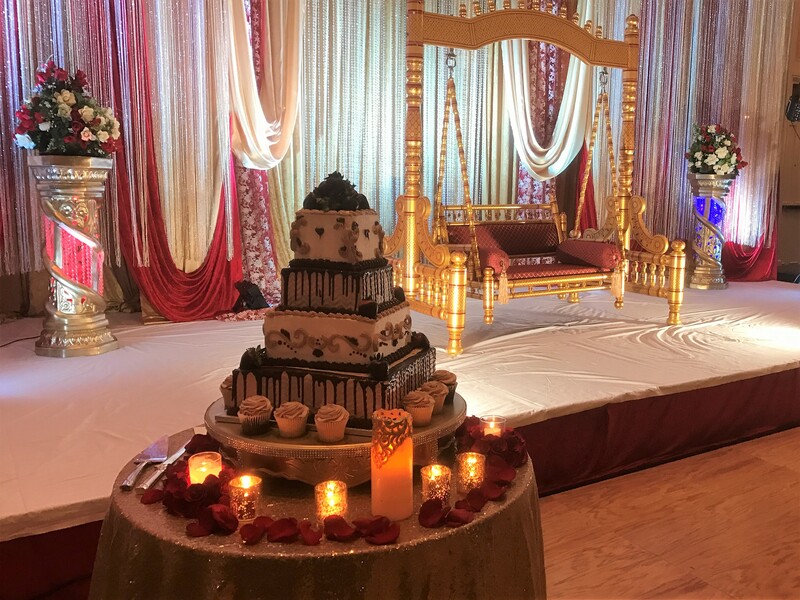 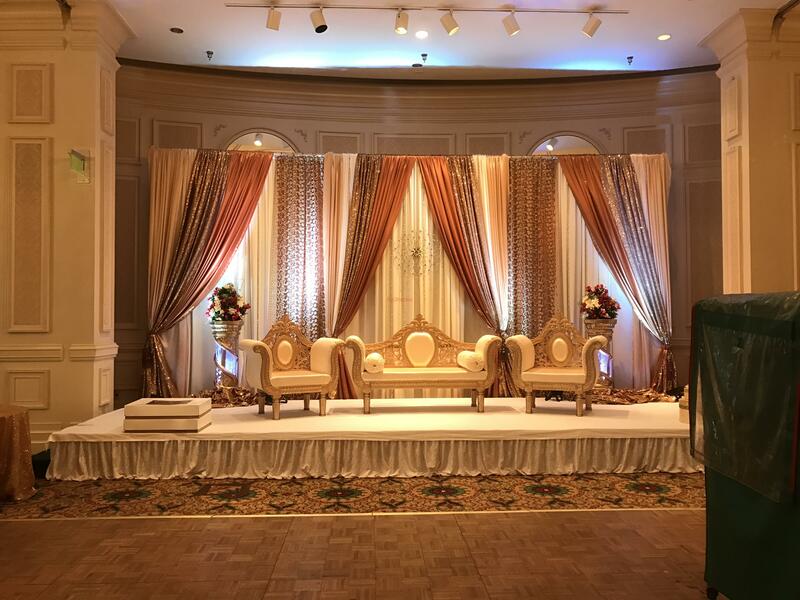 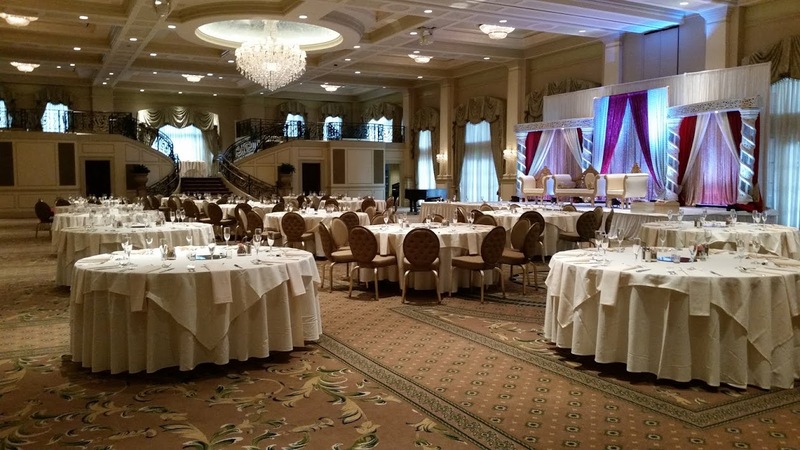 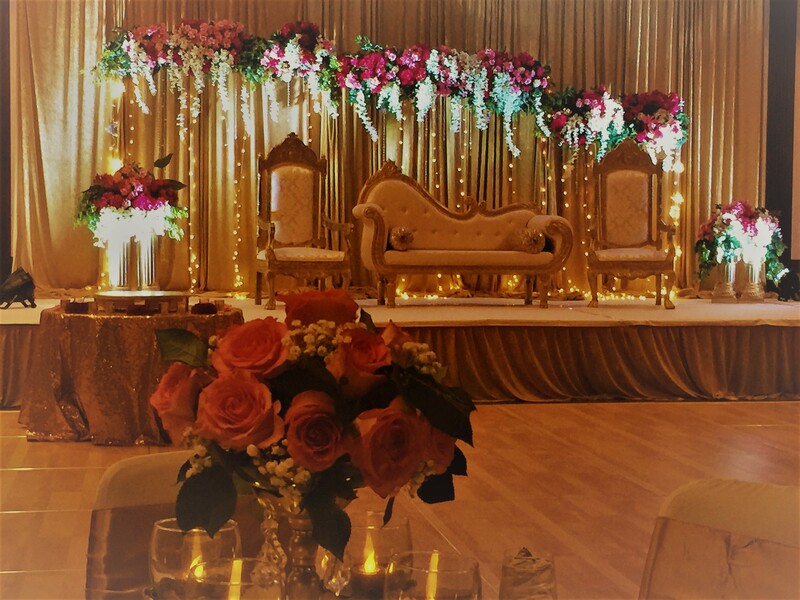 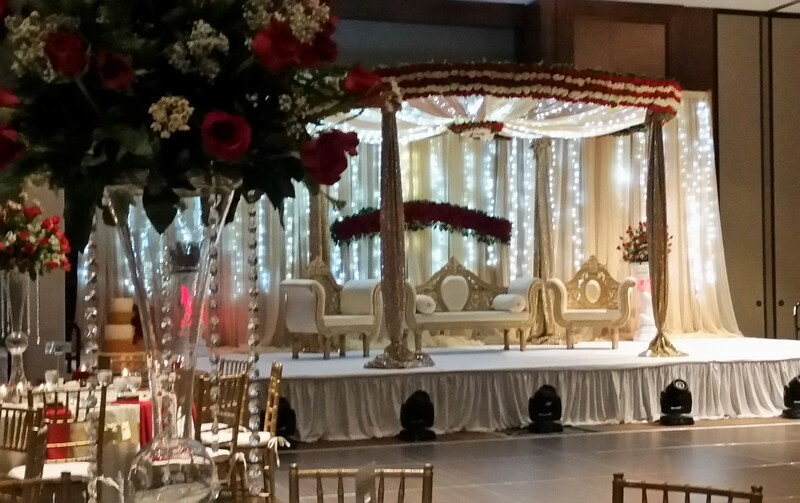 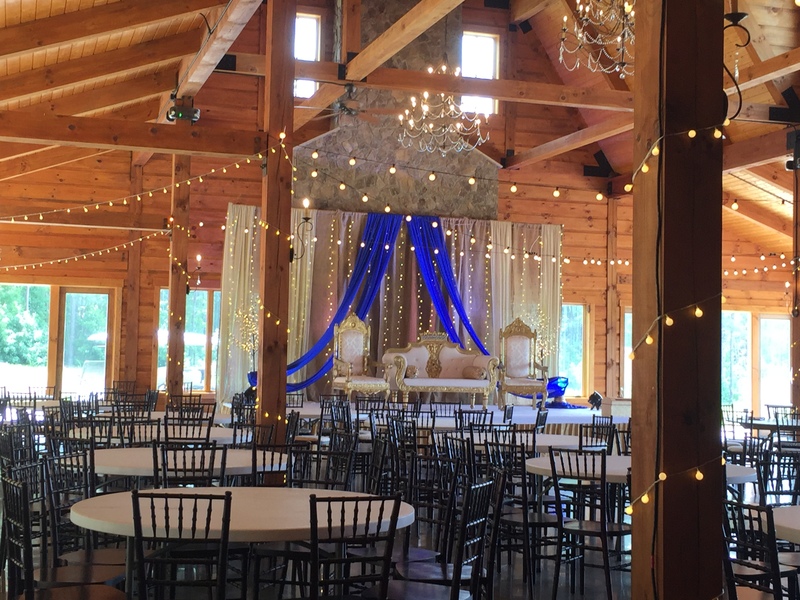 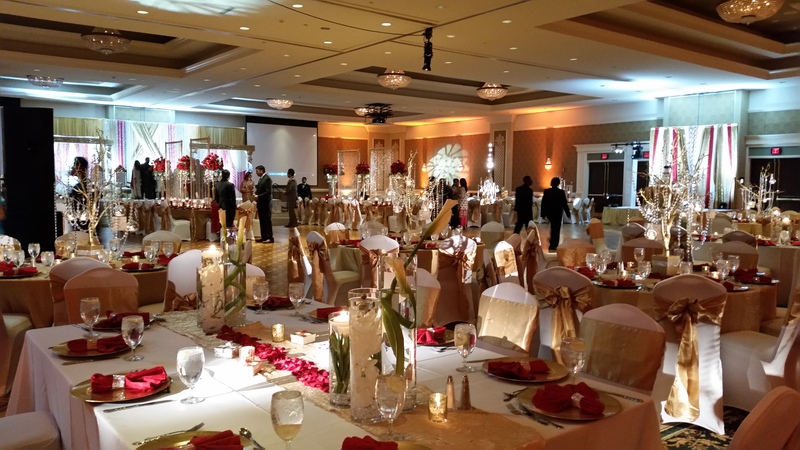 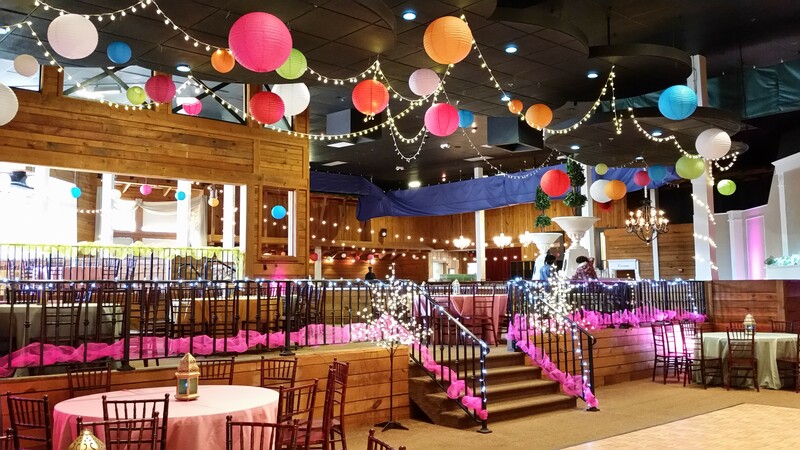 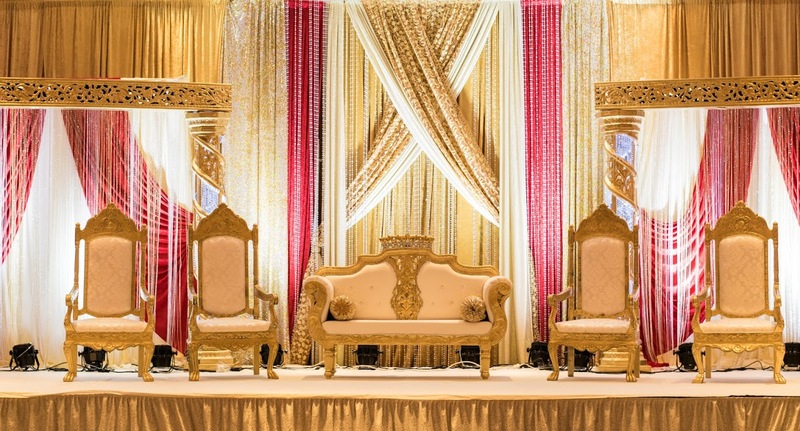 Event Décor by Ghazala specializes in Indian, Arabian, Pakistani and Bangladeshi weddings, providing services in North Carolina, South Carolina and Virginia USA. 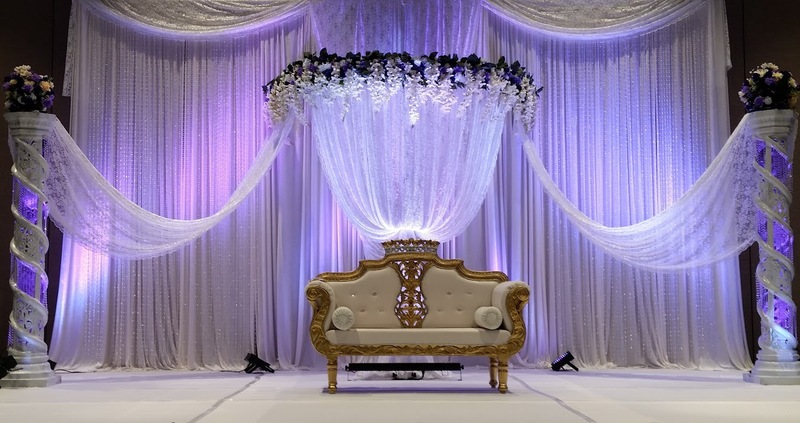 We're passionate about wedding decoration and our dedication is to make your wedding decorations exactly what you want and better than you imagined them to be. 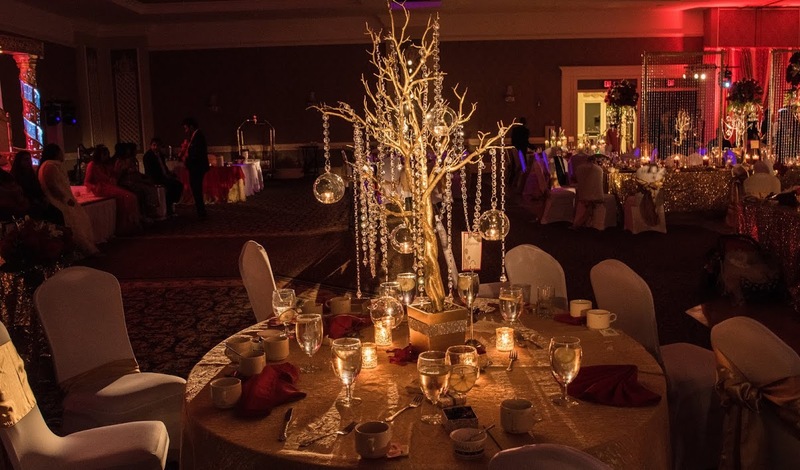 Your event is not only special to you; it is also our opportunity to show you we care. 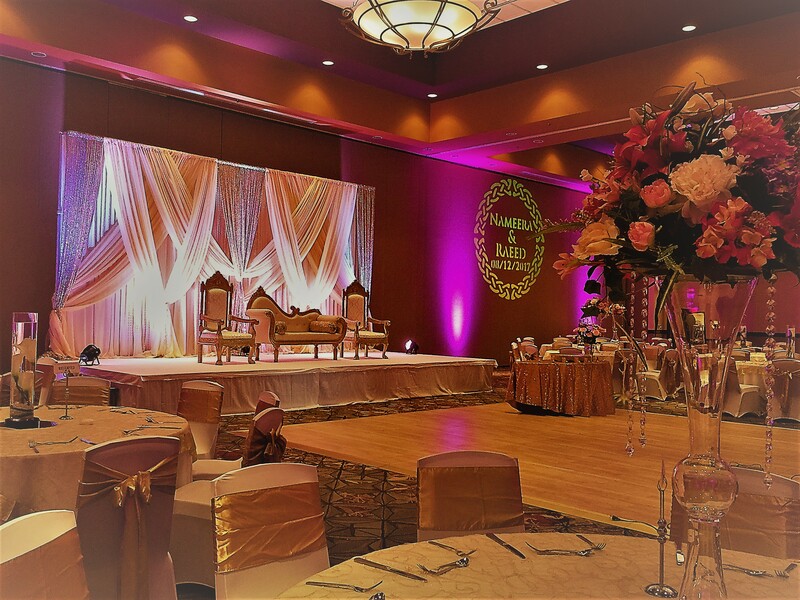 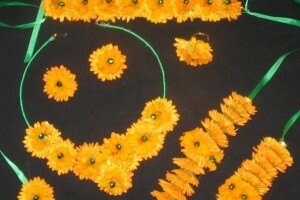 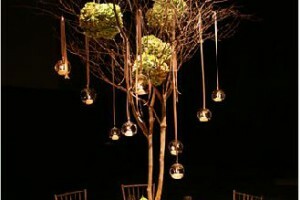 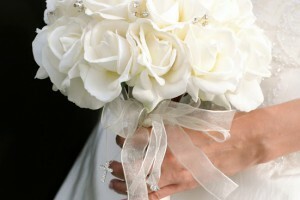 We offer a wide variety of services for your event from small details to full service. 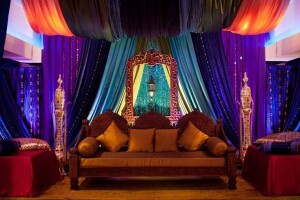 “Mehndi/Henna & Mayon Ceremony is one of the most important day of the wedding.